Posted on July 22, 2011 at 1:00 pm. Wow! I am really over the moon! 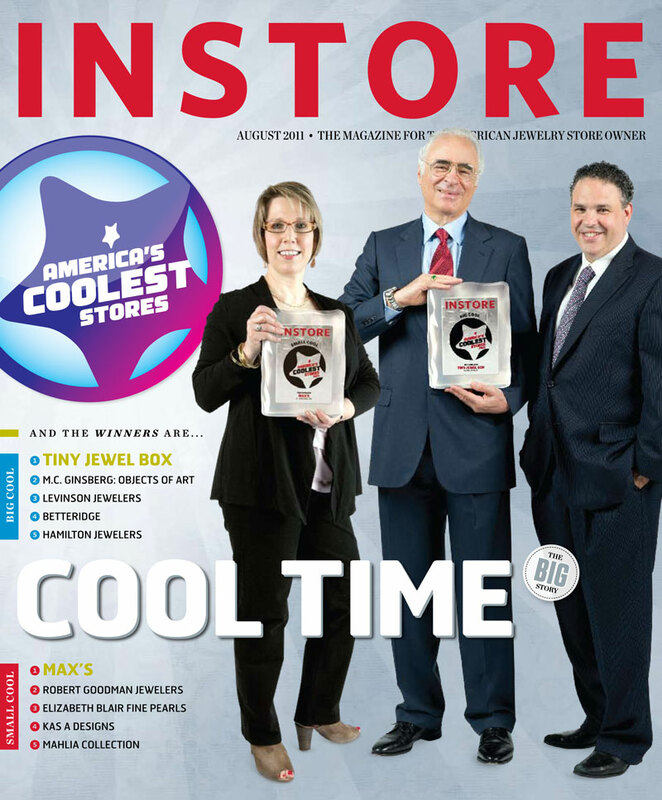 I am so thrilled, proud and humbled that Max’s has been named America’s Coolest Small Jewelry Store by INSTORE, the magazine for the American jewelry store owner! We took first place in the Small Cool division for stores with five or fewer employees. All of the entrants were judged in exterior appearance, interior appearance, store biography, advertising, website and overall individuality. You can read the full article from INSTORE by clicking the link above. I’m sure you can understand when I say that my excitement and pride in receiving this recognition puts me “over the top!” To all of my customers and our terrific designers, I thank you for all of your support and encouragement since I began this journey over 5 years ago. You are part of Max’s success! As I told my staff, I believed that we worked hard to earn this type of recognition and that we must always be our harshest critics. However, this now sets the bar even higher for us to find ways to continue to “be cool” for our customers every single day as we move forward into the next phase of Max’s life. As always, I welcome your feedback as to how we can do better and what you would like from Max’s.